Wow. Another phone that folds. For no reason. Mite about as smart as putting some screen where your fingers go. Oh wait... Samsung has done that too. Im so glad that a compsny with common sense exists. Better products are the result. Samsung, MS, and others are all trying to come up with anything that I say “hey look at me.” And their customers suffer. When there is actuwlly a good reason to fold your screen, Apple will be there. Until then, I’ll keep buying best in class products from them. 100 % fact. I use to have the s8+, and that was one of the most useful features. I still have android, but don't use android pay. I used Samsung pay everywhere, as long as they had a magnetic strip reader, it will work. I always thought, why the hell do they not advertise and market samsung pay way more? It is industry leading in terms of pay with phone. Android pay and Apple pay don't even come close. Samsung pay, micro sd, headphone jack and the best screens in the biz may have me abonden my PIXEL 1 XL next UPGRADE. Pixel has become to Appleish, in terms of hardware choice. 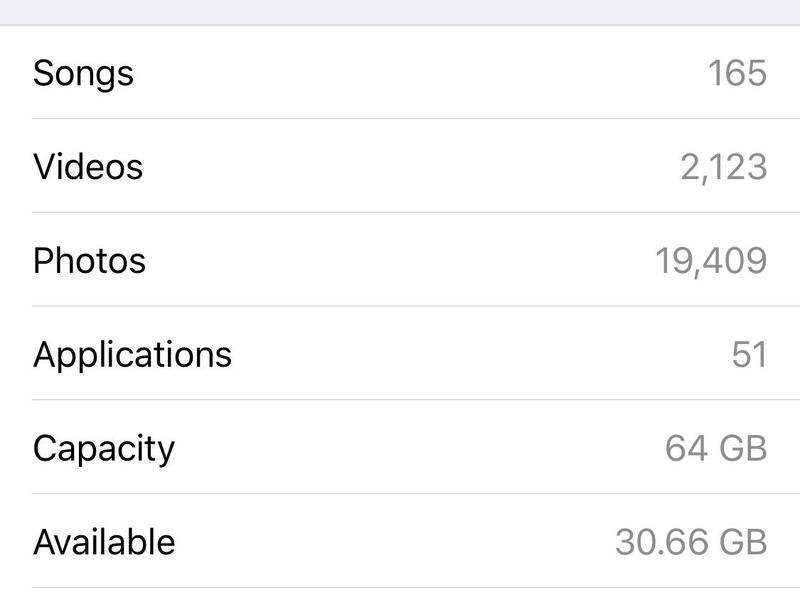 My wife has a iPhone 7+ with only 32gb, and everyday has some micromanagement required just to take new pics or download an app since she is full. With an SD slot, this would be the easiest fix ever and nowadays is extremely inexpensive. Everyone touts how simple iphones are because they are use to them, I've tried the switch with my wife and it was not a pleasant 10 days for me. Easy is what you are comfortable with. Iphones have some features that are harder to use than Android and vice versa, but it is intensified by what platform you have mainly used. I feel android at least provides more choice and this sometimes is too much for people. My analogy is Apple is the parent and tell you how you can treat their kid (iPhone) because they know what is safest whereas, for a Android, you are the parent and can do as you please with your child (android phone), but that means you can screw it up big time if you don't know what your doing. Both have great phones and anyone who says otherwise is just overly biased. I'm done now. This will be Samsung’s “fastest” 2019 phone when it is eventually released for sale, but Apple’s 2017 iPhone X beats it. Apple’s 2018 iPhones with A12 are even faster than that. And when Apple’s much faster 2019 iPhones are introduced in June, with the upcoming A13 SOC, its benchmarks will put Samsung’s “fastest” 2019 phone to even greater ridicule. I would add one qualifier to your statement. I.e. as long as you are interested in buying a phone with sizes L, XL, XXL and XXXL. If you are interested in buying a S or M sized phone, you are out of luck with Android. Only Apple caters to the needs of those who want S/M sized phones. S - 4" to 4.5"
M - 4.5" to 5"
L - 5" to 5.5"
XXL - 6" to 6.5"
XXXL - 6.5" to 7"
The above size ranges are for good old 16:9 aspect ratio displays. With the new trend of 18:9 all the way upto 21:9, the above definitions would change a bit (L becoming M, XL becoming L and so on). I think Apple has got it right w.r.t. screen size options. I don't think that the screen size options available in Android phones is a meaningful differentiator anymore. It was meaningful until iphone 5s generation. After that, no. In fact, the advantage is with Apple as far as I am concerned, with them offering S (iPhone SE) and M (iPhone 7 and 8) sized phones which Android OMEs does NOT offer. Although personally I wouldn't use a small screen phone, I'm in the camp that thinks the SE should be actively developed along with similar Android offerings. These phones are freely available in Spain. The XZ2 has a Snapdragon 845. As sole differentiators, screen size might or might not be key to some purchasers but my point was more on the choices themselves. Screen size was simply an example of one of them. My wife has a iPhone 7+ with only 32gb, and everyday has some micromanagement required just to take new pics or download an app since she is full. On my XS Max and still have 40.16 GB of free space available. Sounds to me like there is a lot of "other" on your wife's phone eating up space, or she needs to do some house cleaning. You would be surprised how much space text conversations and Safari history takes up over time. Especially with photos in iMessage as they aren't compressed as much and take up a lot more space than if sent via MMS. Yes expandable storage would help, but how many apps and photos do you really need to carry around daily? I say this because I was worried last year when I came from an iPhone 7 Plus 128GB to an 8 Plus with 64GB. I never had a space issue. Same with my current XS Max. I have no idea what your wife's use case is, just giving my 2c..
As we all expected. Such dominance almost gets boring! At the same time, the Snapdragon 855 does present a decent boost if you live in the Android world, from 2500 to 3400 single core in a single generation is a good jump. I wonder how things would look if Apple did an even beefier single Prime core. Funny enough, any of their large cores are still larger than the Prime core in the Snapdragon though. Fanboyism aside, "power" does not necessarily mean "performance". Well, not for all. Depending on what people do with their phones, larger batteries, higher screen resolutions and expandable storage can give them more "power" to fulfill their needs, than faster CPU/GPU alone. And then of course, there is always question of cost for what you get. I was quite seriously looking at XR for my new phone, a few months back. I don't play games or do anything else super-demanding on the phone, thus any modern SoC will do fine. Eventually went for LG G7 ThinQ. It is significantly cheaper than XR by default - NZ$1000 vs NZ$1400 - but on top of that, promo was in place, where for same NZ$1000 retailers were tossing in Sennheiser Momentum 2 headphones and decent wireless charger. Looking at NZ retail prices (and considering that I was in the market for headset), phone itself didn't cost more than $500.. just a bit over 35% of XR. Beside extras, I have also got one of the best DACs on the market, and reasonably cheap 256GB microSD card later (Samsung Evo Plus, NZ$140) I can store all the music I want to carry, and still have plenty space for camera etc...and I can replace it for larger one when I need it, since phone should be fine with up to 2TB of flash size. Phone has its share of compromises. Cameras are serviceable but lack level of details of best mobile cameras on the market, especially in low light. I still prefer dedicated cameras - something with large sensor, at least 1" - so I can live with that. Slight bonus is super-wide angle on 2nd camera - I am more likely to need wide than zoom, since landscapes and architecture are my main interests, and it happens that I cannot fit everything in my dedicated camera, so phone is last resort to get that darn cathedral tower in the frame with the rest of it... Screen is not OLED, but has very high resolution and, thanks to RGBW setup, gets brighter on sunlight than many OLED screens - close to 1000 nits, while using less power (according to LG). It does use more power indoors and in mostly dark screen scenarios. Overall, I am not spending more than 40% of 3000mAh battery from waking up to going to bed (phone sits on wireless charger overnight) on average and, with worst case scenario of 60% of battery usage (new phone, a lot of software installed etc in single day) I am not worried with power consumption, at all. Arguably, this phone gives me more power to fulfill my needs than XR would.